Just about everyone is liable to find their happy place in a comfy nook and cranny at Crema in Pacific Grove. Tucked along Lighthouse Avenue in “America’s Last Hometown,” Crema’s converted Victorian mansion is full of an array of separate quarters, cozy creative decor and exceptional daytime noshes and sips. Don’t let the downstairs espresso café and wine bar entrance fool you; an entire mansion lies upstairs just waiting to be explored. Guests can choose from a variety of settings like the studious Peacock Room, the kick back garden courtyard and the expansive upstairs Victorian Dining Room; each one fit for everyone from solo travelers to large meet up groups. The cool thing about this place is that all rooms and seating arrangements are up for grabs, whether you just want to grab a latte, enjoy a fresh pastry or have a scrumptious brunch; think of it as staying at your best friend’s house and making yourself at home. Each room is decked out like a picture perfect Pinterest board and makes you feel completely at home. Antique furniture, historic photos from the building’s yesteryear and etsy-esque projects are scattered about. A personal favorite is a window framed cabinet in the main dining with the owners’ grandmother’s vintage tea set, so cute! An essential “must have” item on their menu is their sangria. You will not find another juicy goblet of fresh fruit and tangy red wine like this anywhere else! You can’t go wrong with a menu item titled “Our Amazing Huevos Rancheros.” Two fried eggs come cooked in spicy salsa served over black beans and queso fresco. You are definitely going to need a mimosa (or two) to cool down. Don’t miss the mesmerizing bacon cheddar biscuit! This football sized doughy cloud of goodness was sensational. The savory bits of bacon pair well with the sweetness of the accompanied honey butter. Insider tip: You can actually order chicken ‘n biscuits from Crema’s ‘Secret Menu’ which uses these exact biscuits, double the yum! As we alluded to, Crema now serves an exclusive ‘Secret Menu.’ You won’t find this menu printed at the restaurant, it is simply by word of mouth, think of In-N-Out’s animal style offerings. Use the cheat sheet below for a few of their samplings only offered to those diners ‘in the know.’ The Bene Fries are a particularly sinful dish with crispy french fries smothered in minced ham, hollandaise sauce, avocado and topped off with two poached eggs. 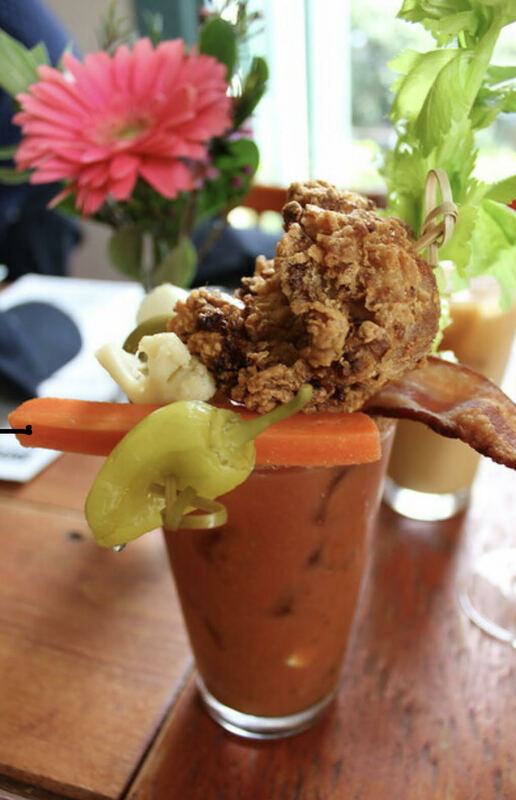 Don’t skimp on the secret drinks either, the Bantam Bloody Mary is a meal in itself! 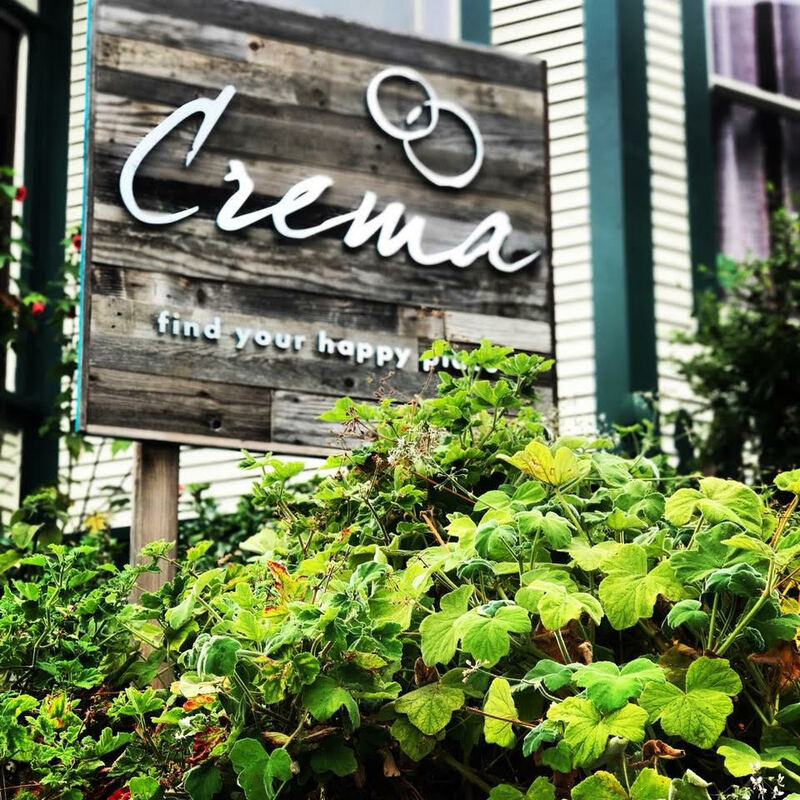 Whether your are just looking for a quick cup of joe or a full on brunch with bottomless mimosas, Crema is a the spot to find your happy place everyday from 7am-4pm.